If you're looking for hotels near Government Center, City Hall Plaza, TD Garden, Massachusetts General Hospital, the Museum of Science, and Faneuil Marketplace, you'll find a number of excellent choices in Boston's interesting West End neighborhood. In addition, most of these West End hotels near are also close to Boston's Museum of Science, the North End, and Beacon Hill. Their location in one of the oldest parts of the city means you're also close to the Freedom Trail, the lively vendors at Haymarket, and gourmet treats at Boston Public Market. The beautiful Rose Kennedy Greenway will be practically at your doorstep - perfect for picnics, strolling through the gardens, and a fast game of frisbee on one of the expansive lawn areas. Because these Government Center hotels mean that you're just a few blocks from TD Garden, you do need to book as far as possible in advance when the Bruins and Celtics are playing. As a bonus, you can join all the action at the nearby sports bars, dance clubs, and pubs. Located in a former jail, the Liberty Hotel features interesting public spaces, up-scale guest rooms, and great views. You'll love the Liberty's convenient location next to Massachusetts General Hospital, near Beacon Hill, and just a few blocks from Government Center and TD Garden. The Wyndham Hotel Boston is a great choice for anyone seeking a hotel close to Massachusetts General Hospital, Government Center, and Beacon Hill. Stroll over to Beacon Hill, almost across the street from the hotel, and explore the many wonderful restaurants and antique shops. Recently refurbished inside and out, the Holiday Inn Express offers you the best of both worlds when you need to be near Government Center but also want to enjoy a game or event at TD Garden. It is the closest hotel to TD Garden - literally just across the street - and offers great value and affordable rates. You're surrounded by some of the best sports bars in the city. Stop into The Fours for a plate of their delicious fried calamari and a burger, or try the brew at Boston Beerworks. 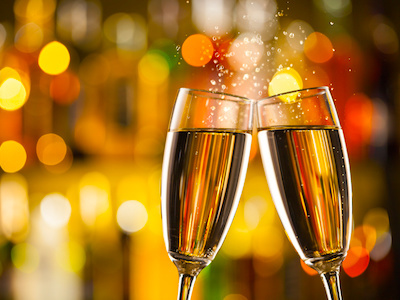 Celebrations after Bruins and Celtics victories do get noisy, so ask for a room on an upper floor at the back if you need a quieter location. Sleek and contemporary Onyx Hotel Boston (part of the Kimpton hotel group) features vibrant decor, free WiFi, and a location just a block away from TD Garden and Government Center. Relax in the hotel's Ruby Lounge - or check out some of the fun sports bars nearby. 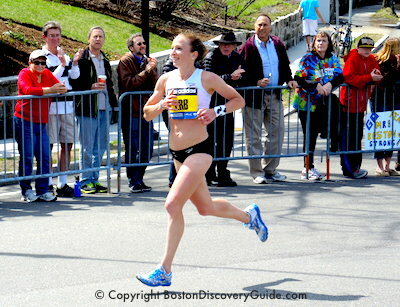 You'll also enjoy how the Onyx is close to Beacon Hill and Faneuil Hall Marketplace. Ames Hotel's 114 rooms include working fireplaces, sleek and stylish furnishings, and white marble walk-in showers with rain showerheads. Located next to the Government Center area in Boston's first skyscraper, built in 1893, this luxury boutique hotel is a favorite of both business and leisure visitors. You'll enjoy the chic and hip ambiance, plus the superb location lets you walk to Faneuil Marketplace, Boston Common, and Beacon Hill in less than 5 minutes. With rates that are often lower than some of the nearby competion, the Ames gives you a lot to love. 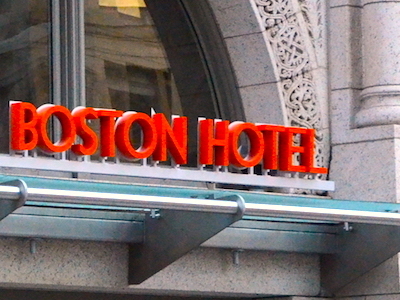 Boston Insider Tip: Why Choose a Hotel near Government Center? 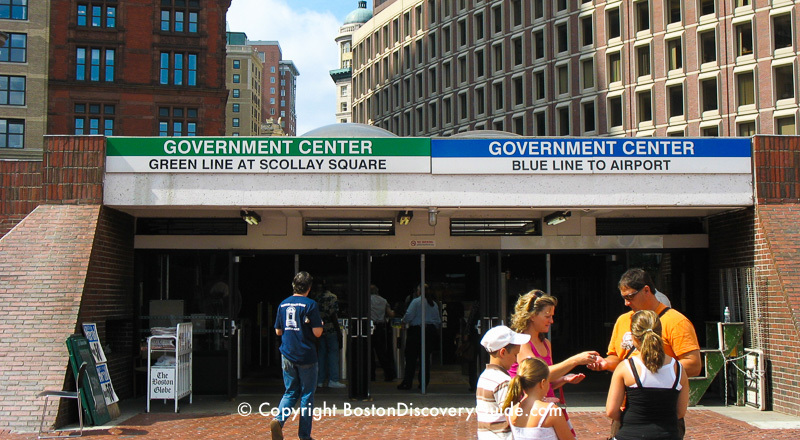 Need another reason to stay near Government Center? You're surrounded by Boston's increasingly-famous Brutalist architecture, a global trend during the '60s and '70s. Because Boston's massive urban renewal efforts of the old West End neighborhoodresulted in lots of investments in new buildings during that period, we have more examples of this style of architecture than any other U.S. city. You can decide whether you love it or hate it! Another interesting example of Brutalist style is the New England Aquarium, about a 5-minute walk across the Greenway. TD Garden is so close to these hotels - so don't miss a chance to see a game or concert while you're in Boston!